Every year, Fort Lewis Men’s Lacrosse Club strives to give back to the Durango community. This helps the young men of Fort Lax to thank their fans and supporters, improve the town that they live in, and build a culture of service, sacrifice, and selflessness that will help them on the field and in life. -On April 15, 2018 members of the Skyhawks lacrosse team joined Jake Yost and the FLC Veterans Club to put together a dinner for the homeless of Durango. The event proved to be a great chance for members of the community and the college to help those most in need. The story in the Durango Herald can be found here. 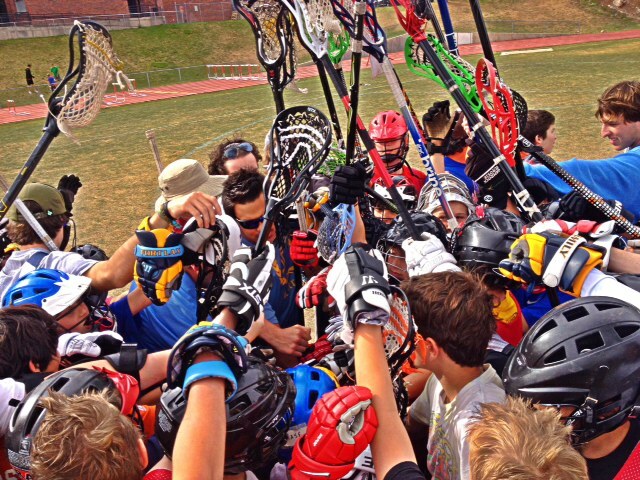 -On April 8, 18 the Skyhawks hosted a free lacrosse clinic for kids from age 9-15. 25 players came out for an afternoon of fun and learning with coaches and players on the Fort Lewis team. 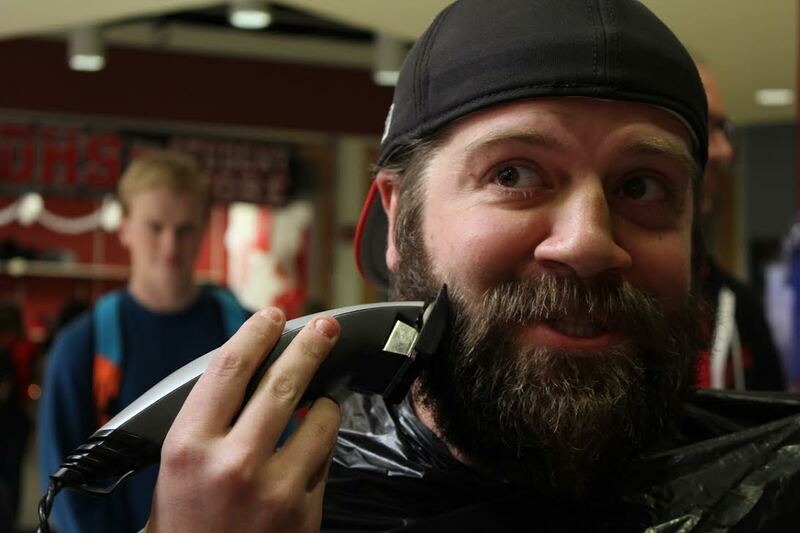 -Former coach Riecks grew out his beard for 3 months to have it publicly shaved for charity. The students at Durango High School, where Coach works full time as a Security Specialist, raised $100 for the Make A Wish Foundation to send a young man with leukemia to Disney World. The students paid for the chance to get to publicly shave Mr. Riecks’ beard. The final results were hilarious. -The team also organized a fundraiser at Zia Taqueria to benefit former coach Zane Bilgrav. The event raised over $800 and dozens of current and former players came out to sign cards and a shirt for Coach Zane. 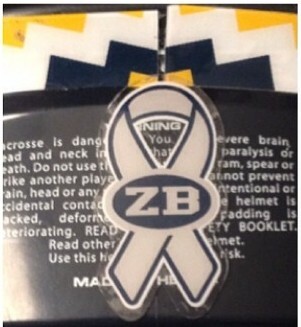 Zane is still receiving treatment and doing well, the team wears ribbon decals (donated by LaxWorld) on their helmets in honor of Zane. 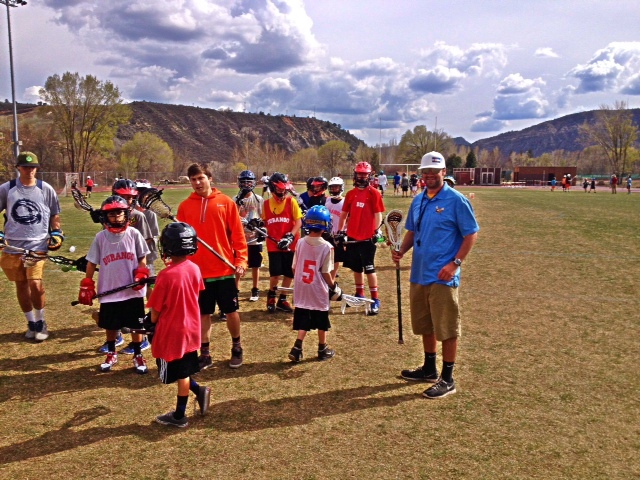 -On April 19, 2016 Fort Lax hosted a free clinic for local youth lacrosse players, and nearly 50 kids from grades 5-8 showed up for the chance to learn from some of the best players in Durango. One of the highlights of the day was when the kids got the chance to cheer for their favorite camp leader as they performed trick shots, and then they all joined the team in doing our trademark “Family” cheer.